World Of Starcraft mod creator Ryan Winzen has had a roller-coaster week, but everything seems to be winding now and leaving him one job offer and one visit to Blizzard HQ the richer. After starting the week with Activision cease and desists raining right and left, the World Of Starcraft developer also received an offer to interview from League Of Legends developer Riot Games and some press in the process. Activision now says it wasn’t planning on shutting down the mod, they were just concerned about the name, which is trademarked by Blizzard, of course. 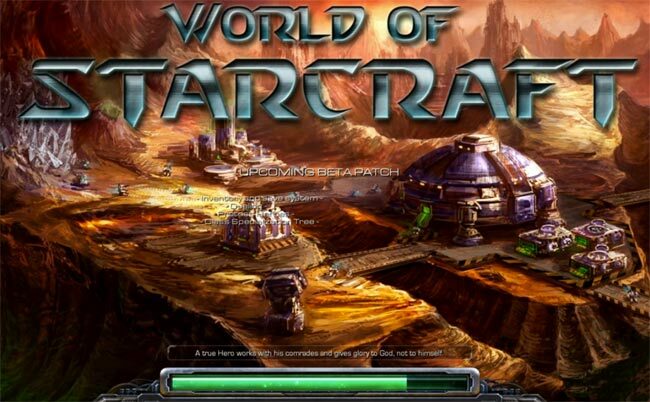 “I am fully respectful of Blizzard’s intellectual property,” Winzen said, “and they DO in fact own a copyright on World of StarCraft and have EVERY RIGHT to do what they did. If I want to continue this project I’m at the mercy of Blizzard’s good graces since they OWN it all.” The name will have to be changed if the mod is to be developed further, but other than that there don’t seem to be any more barriers standing in the way of the project. Apart from the deluge of help offers the author is getting, that is.